We believe that the country we live in, the world we live in, can be a world of smiles. A world of happiness. A world where I know the people around me, though I do not know them, will come to my aid when I am in need. This is what my team and I believe. We decided to work on it, and numerous ideas came to my head. The Morning Greeters is just one of the ideas we have decided to act upon. 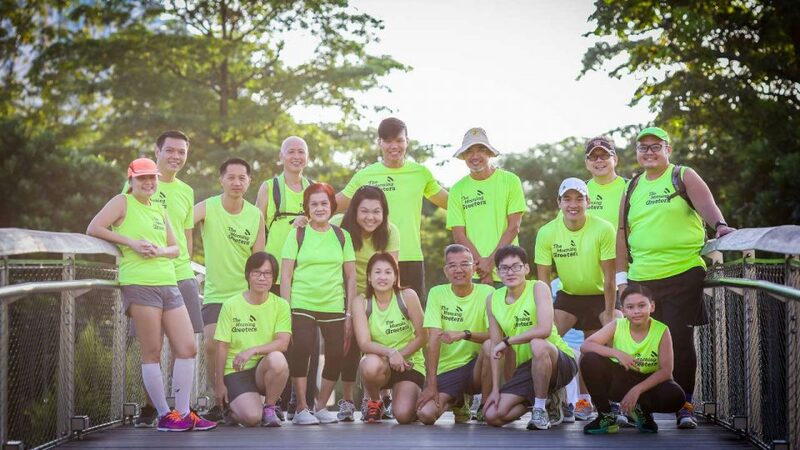 What we do, is simply great people on our runs right now through the Island-wide Run movement in every major park in Singapore. We do not know how long it will take to complete it but we know for as long as we want to inspire our fellow human race, we will continue to do it. It just takes a simple greet to induce a smile. We hope this culture will spread like wildfire to the offices, schools homes, etc. such that even though we do not know someone, we actually do.